Adventure, history, relaxation, sport and tasty food. 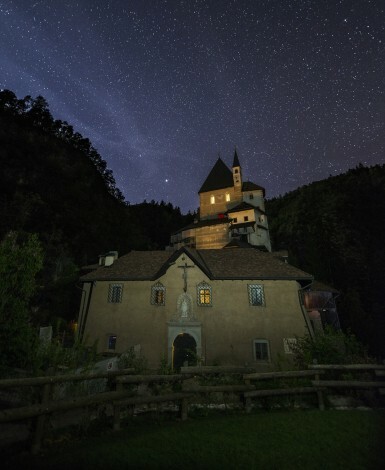 Leave all behind and start your stay in Trentino. Live emotional moments. Feel the soul of the nature. It is a taste of freedom. Discover the perfect harmony between body and soul. The Stella Alpina Hotel is a family-run business since 1961. Initially it was born as a simple renting rooms. But during the years the Inama family transformed the small pension, in the charming hotel that many people have come to know. Stella Alpina is the flower symbol of the mountains. Now the third generation of Inama family: three brothers with the same dream, managing the Stella Alpina Hotel, where good food, conviviality, the informal environment and the Val di Non Valley play a fundamental role. The Stella Alpina Hotel recently renovated, but awaiting further future developments, is located in the sunny village of Sarnonico, at an altitude of 987 m, with fresh temperature during the summer for your perfect Holiday. At the Stella Alpina Hotel your pet is welcome! 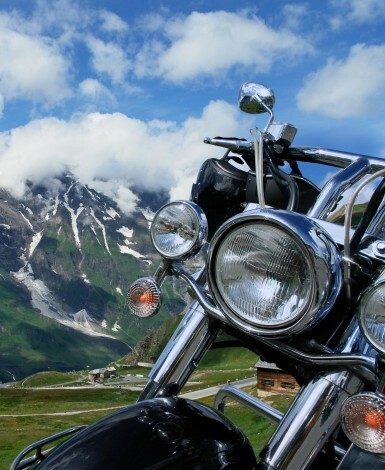 Val di Non Valley: live the passion of motorcycling and bikingin Trentino! 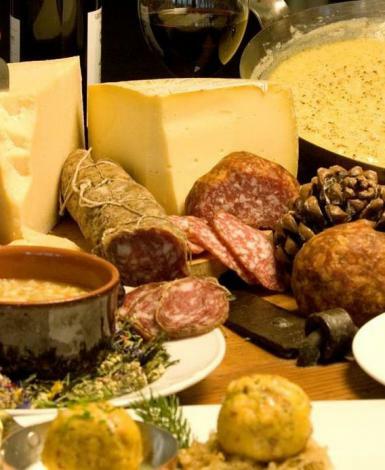 Not only sport, nature, history and culture: in Val di Non Valley at Stella Alpina Restaurant you can find rich, tasty food and local wine in an informal atmosphere. Enjoy our homemade and genuine dishes, as pasta or gnocchi, with a warm welcome and hospitality. The kitchen offers not only typical dishes of the local tradition, but also courses with a modern twist. Our chef Francesco selects seasonal products to offer you a special A la Carte Menu. Settle therefore, and be captivated . All the dishes are made with local products, carefully chosen to offer you a true moment of gastronomic delight, full of flavors and fragrances. All this comes from the passion for high quality of cuisine . The family run Stella Alpina Resturant is the right place to celebrate a special occasion, an evening with friends or with family, or for groups and for work- dinners. Discover our A la Carte menu! The Stella Alpina Hotel has news for your Holidays in Trentino Alto Adige. Discover our country, from lakes to mountains, walking trails on foot or by bicycle. It's a paradise for nature- lovers! Book one of those offers! Activities for all in this location with beneficial, fortifying and energising properties. Welcome in The Val di Non Valley. Have a look around: the nature offers magnificent uncontaminated landscapes. Spendig Holidays here is an exhilarating experience, surrounded by peaks towering, crystal clear lakes, castels, hermitages and sanctuaries, museums and more . You can enter the forest- trails directly from our hotel! Moreover the Val di Non Valley takes visitors by surprise with a wide range of activities: walking, mountain biking, horse riding, mountaineering, climbing, swimming, golfing, climbing, canyoning and fishing! And what about the historic- route of ancient pilgrims? It's a therapy for body and soul! 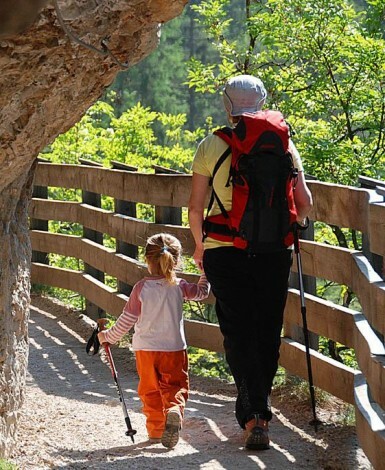 Enjoy your holidays with family, friends or pets and... discover the Val di Non Valley in Trentino! Trails in the nature are waiting you. See all the activities included in the card!